Metanor has provided this update on its underground exploration drilling program at Bachelor Mine. 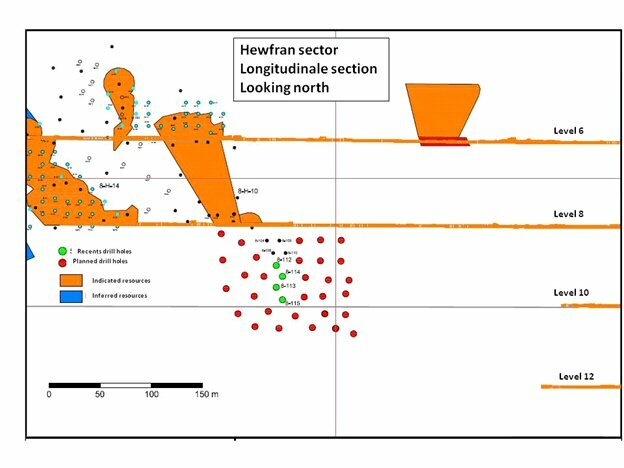 The drill located on level 8 in the Hewfran sector of Bachelor Mine intersected 7.5 g/t over 7.2 meters (hole 8-112). The holes listed below intersected the structure of the H-10 vein below level 8 down to level 10. Following the confirmation of this extension, the upcoming drilling will focus on both sides of this structure between level 8 and 10, and below level 10. A longitudinal figure is available at the following link: http://media3.marketwire.com/docs/1040369a_fig1.jpg.